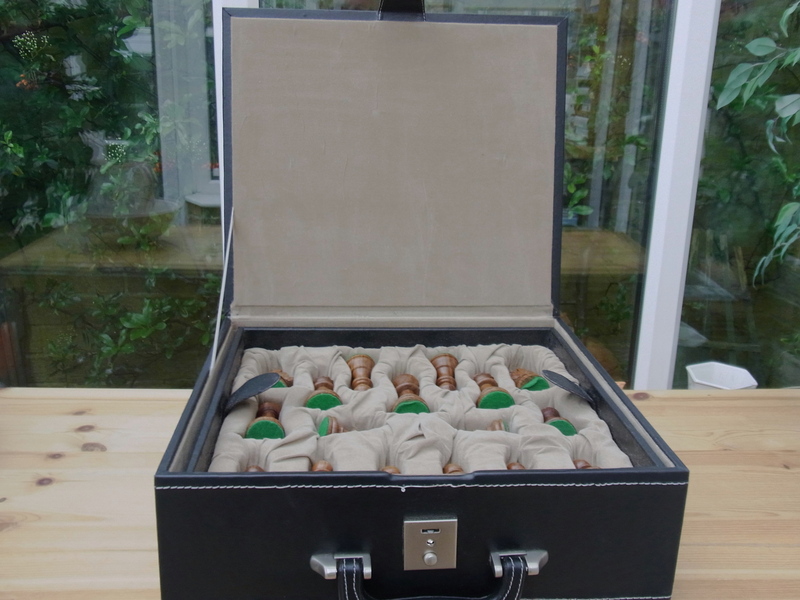 This product from Chess Baron: Double Queens: Pure leather chess box for luxury chess sets. 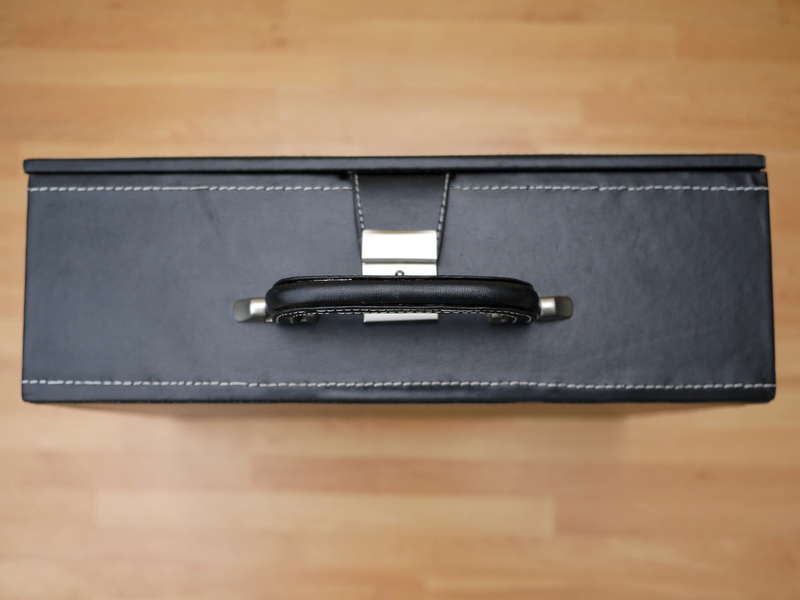 Indendations made for each piece, nestled in silk. 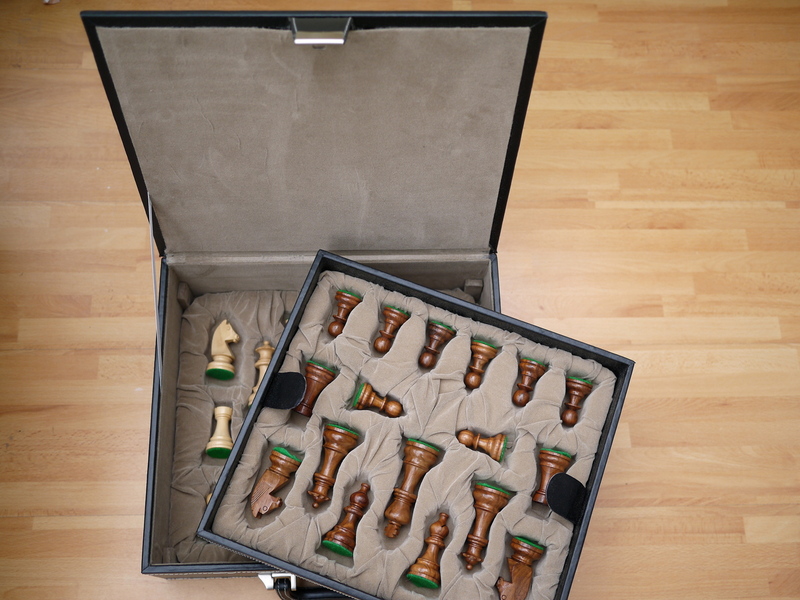 Any luxury chess set will feel pampered and secure in this incredible case for transit or storage. 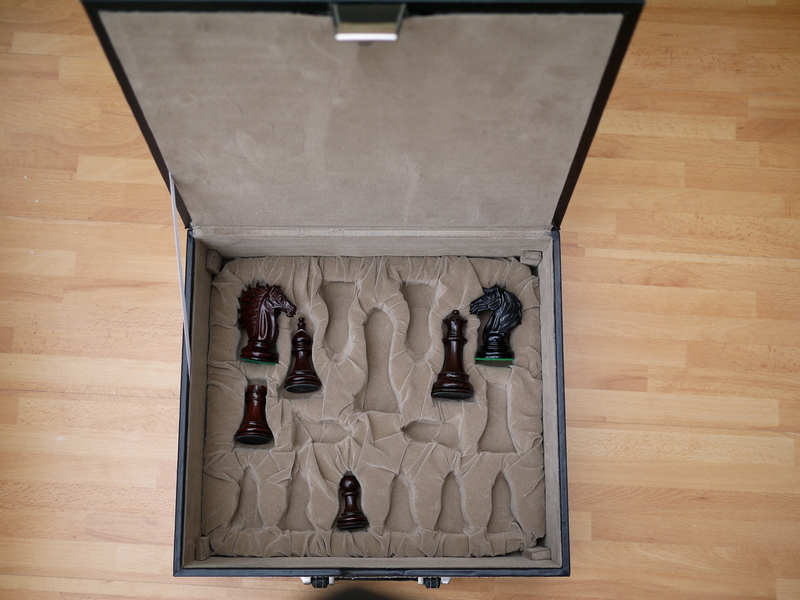 There are spaces for extra Queens too. 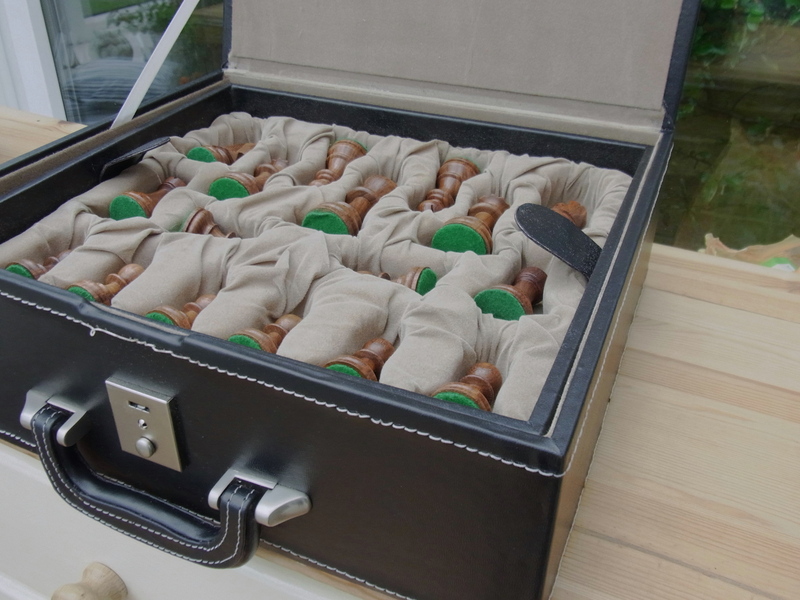 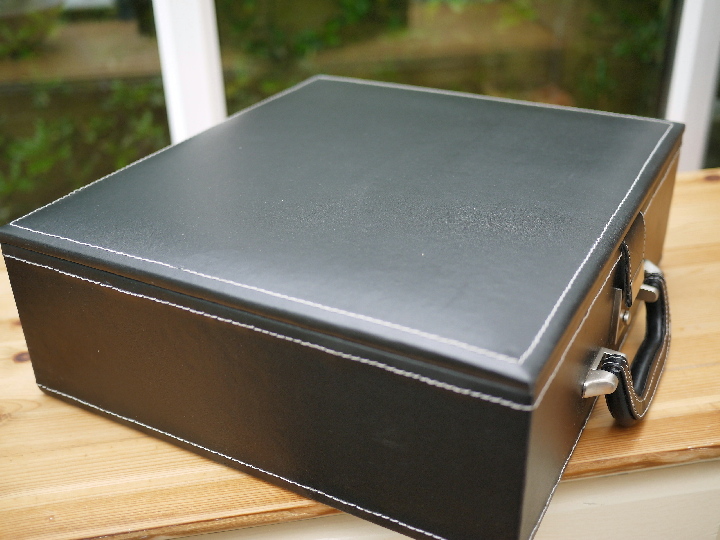 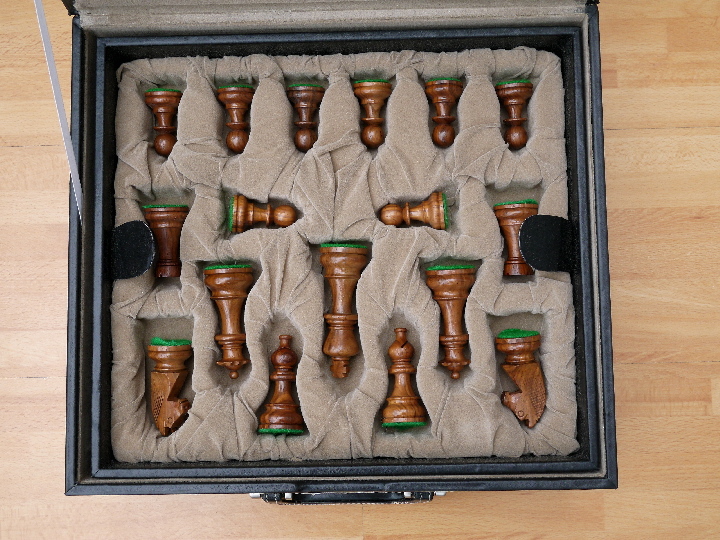 A truly luxury case for luxury chess sets. 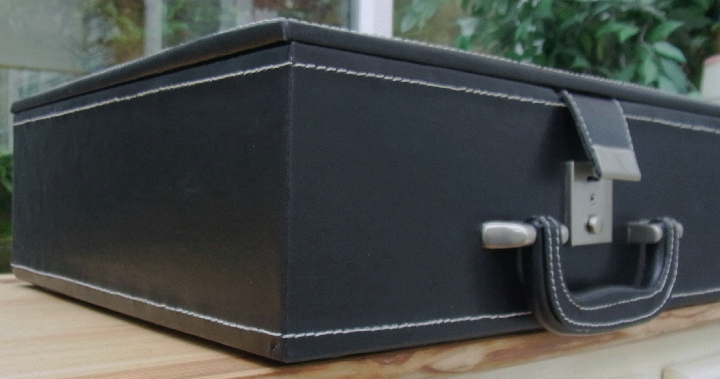 Some variations occur accross batches in colour of stitching, etc.